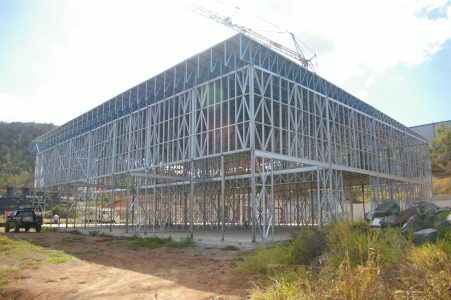 The Mecano Steel framing system is the simplest and most affordable option for your next project. 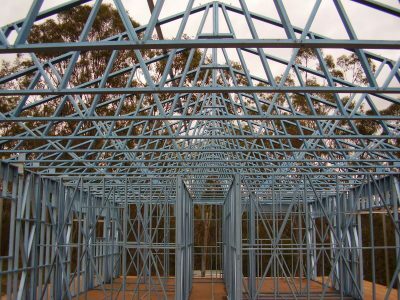 For owner building, our steel frame is an excellent option as there is no cutting or drilling required. Each wall panel fits together perfectly and is screwed together, just like a big Meccano Set! Save on transport cost with flat-pack frames. 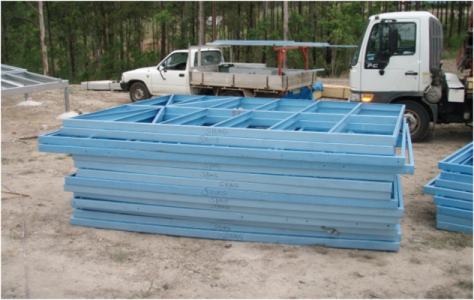 Steel is stronger and lighter than timber and will save time on-site with pre-cut members ready for assembly. 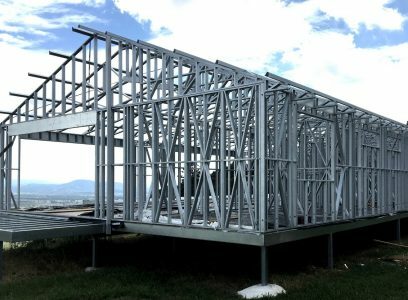 The steel frame can be delivered pre-assembled or in a flat-pack. Looking for a dividing or partition wall? Mecano offer framing panels made to order. All top and bottom chords, studs and noggins are pre-punched, notched, and dimpled to ensure your wall frame fits together perfectly. 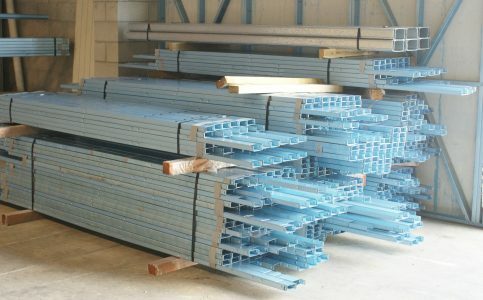 Simply supply us with external dimensions and opening sizes. Contact us today for a quote.